As you step unto newly installed wide plank engineered hardwood floors you will notice attention to detail and quality finishing’s describe this warm home located on a quite tree lined street. 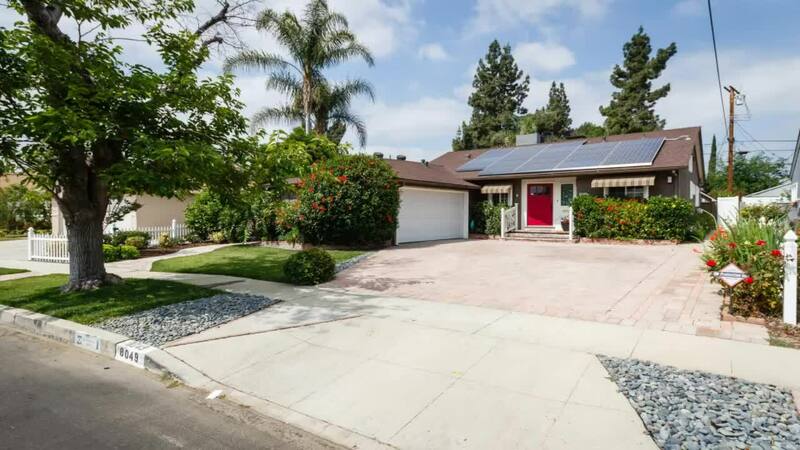 Besides the attention to the finishing’s the infrastructure has been upgraded with new HVAC, sewer line and drain out, rooftop solar panels, LED recessed lights throughout, paver driveway and remodeled pool. The oversized backyard is a blank slate ready for the new owner’s personal touch. The galley kitchen boasts plenty of storage with tall cabinets and pull-outs to handle small appliances and other cooking utensils. Top of the line appliances and a full pantry area designed in the same colors making the look complete. Crown moldings throughout the house accent the smooth ceilings and top of the line recessed LED lights on electronic switches allows the user to change the ambience of each room. Built in Bar and a formal dinning area. Stop by and see the pride of ownership at it’s best.